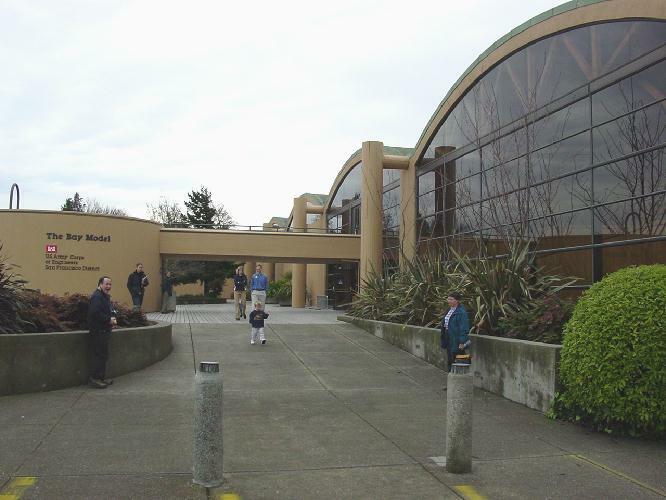 United States Army Corps of Engineers’ Bay Model Visitor Center. Introduction and overview to the Bay Model led by Ranger (and geologist) Robert Stevenson, with a view of Richardson Bay. 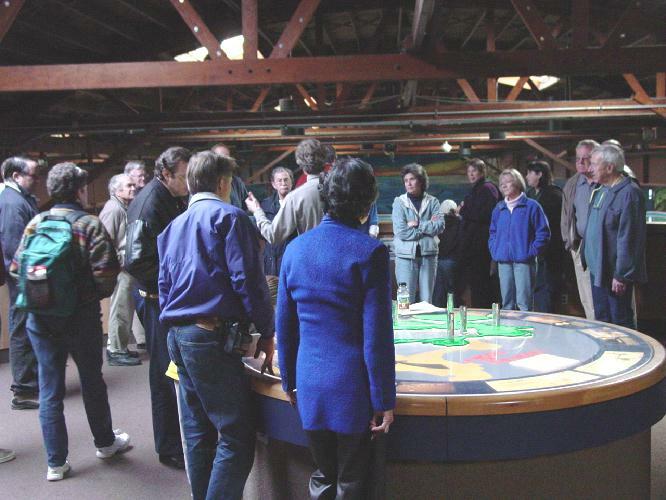 Here we learned one of the reasons why the Bay Model was constructed – to model and test the Reber Plan that proposed damming the San Francisco Bay to capture and provide fresh water for Bay Area residents. The Model allowed the U.S. Army Corp of Engineers in the late 1950’s to determine that the proposed creation of several dams across the Bay would not serve their intended purpose, and that they would significantly affect the Bay’s unique ecosystem. 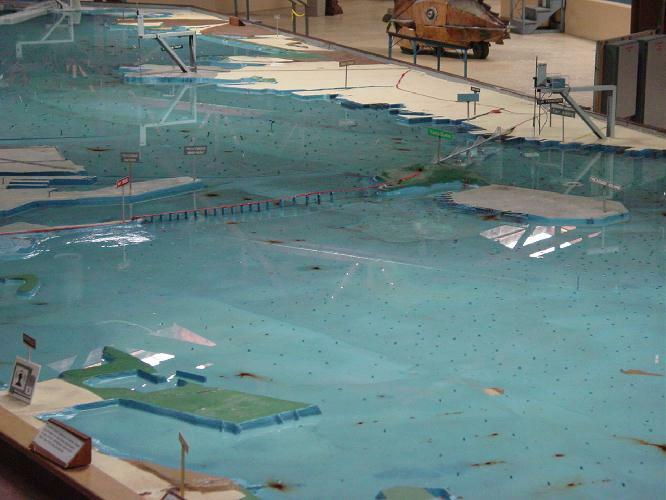 Read more about the Reber Plan at the Bay Model Association’s website. Looking out the Golden Gate, with Angel Island in the foreground. 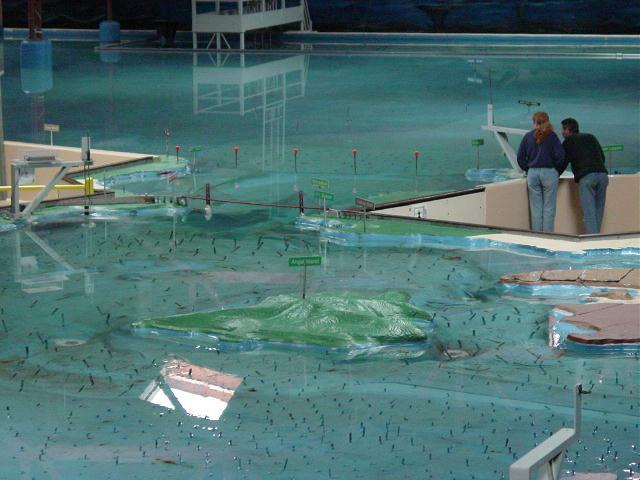 According to the U.S. Army Corp of Engineers’ Bay Model website, the Bay Model is three-dimensional hydraulic model of the San Francisco and Delta areas capable of simulating tides, currents and river inflows. The Model is over 1.5 acres in size and represents an area from the Pacific Ocean to Sacramento and Stockton including the San Francisco, San Pablo and Suisun Bays, and a portion of the San Joaquin Delta. The Bay Bridge, Yerba Buena, and Treasure Islands. NAS Alameda (former) is to the left and the Berkeley Marina is in the foreground. Each of the dark “whiskers” in the bay was designed to mechanically retard the flow of the water in order to mimic recorded tidal flow patterns and speeds. 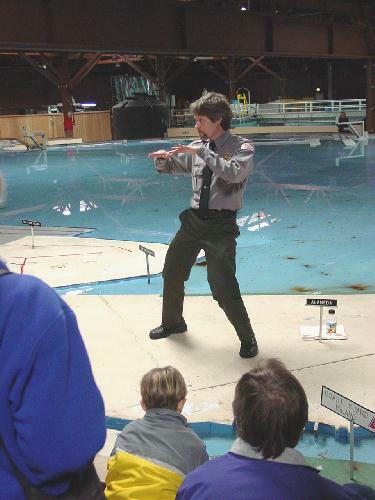 A full ebb and flood tide can be simulated in a matter of minutes. Further discussions inside the Bay Model. 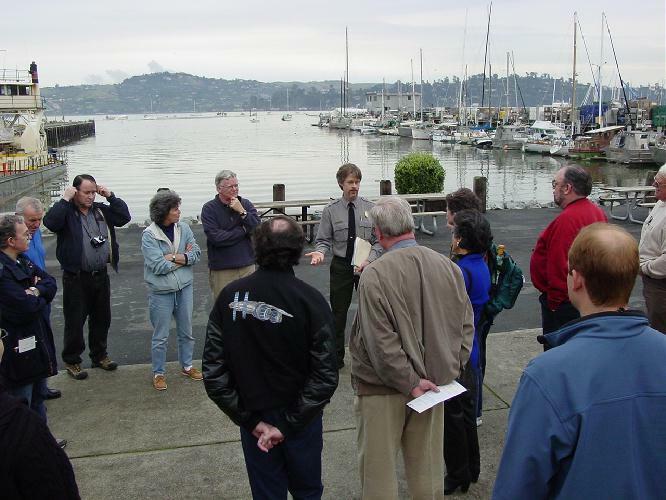 Ranger Robert Stevenson leading a discussion over the city of Alameda (Oakland Estuary in the foreground and Bay Farm Island in the middle ground).